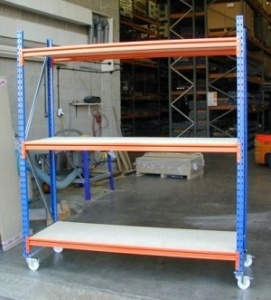 Mobile shelving units or shelving on wheels combine industrial storage shelving with heavy duty castors to enable storage shelving to be moved within the storage area. 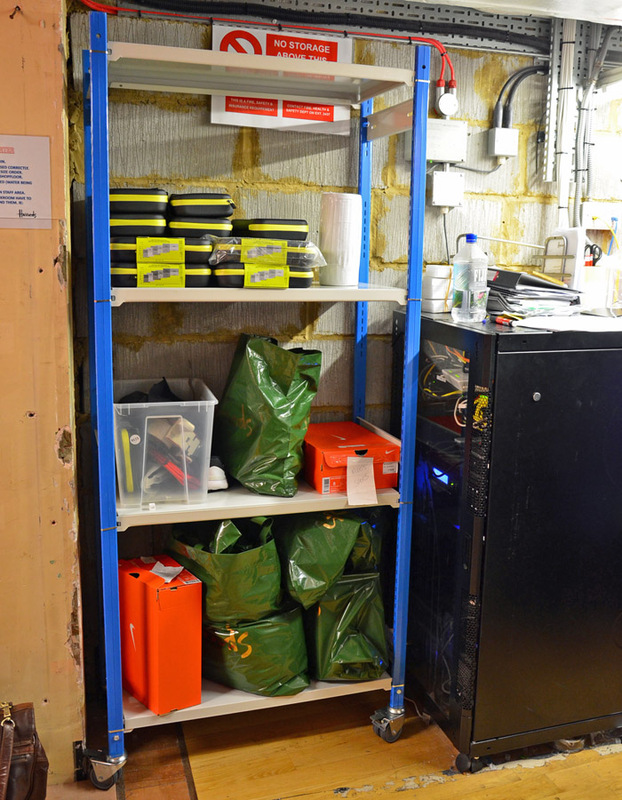 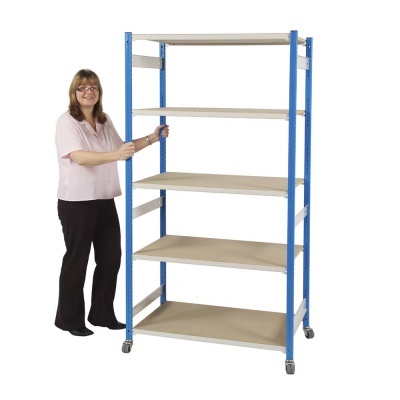 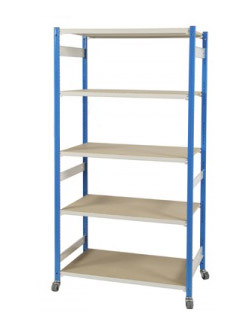 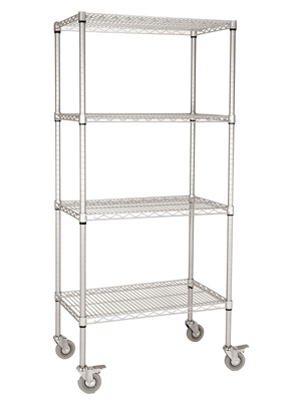 This is ideal for assembly areas, for ease of stock replenishment, or for retail stockrooms to increase stock capacity. 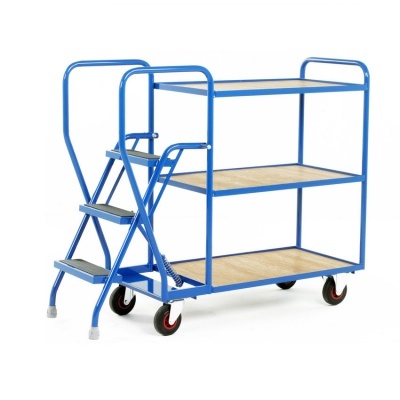 Wheeled storage units are supplied with twin wheel lockable swivel castors to enable easy movement and secure location. The image shown depicts a typical application and we would be pleased to discuss your specific requirements - 01993 779 494.